As a smartphone user, I’m sure you’ve come across a pop up or two like the one pictured above. Asking for permission to access data or leverage device hardware is a very common thing for apps to do these days. 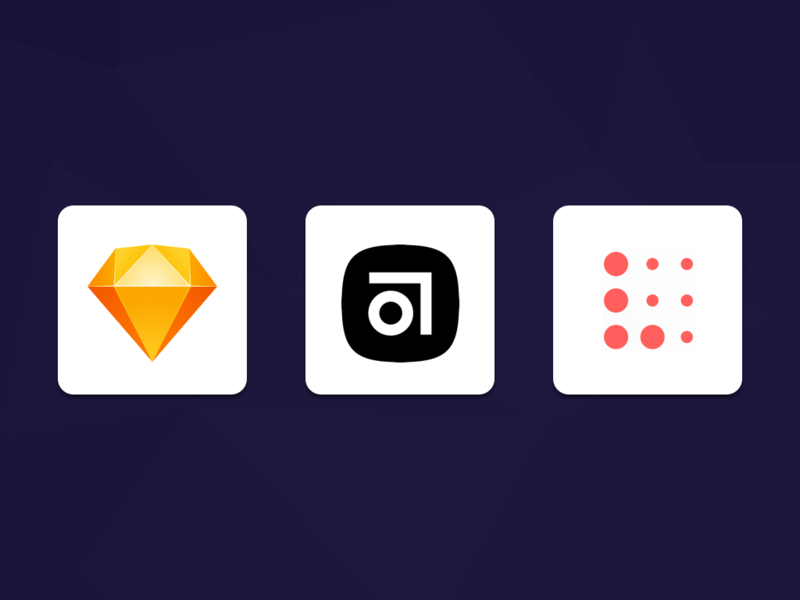 With permission, app developers can take full advantage of device features such as tracking user location, sending push notifications, or accessing contact information. The user, however, always has the option to say no; so simply throwing a pop up and asking for permission is not the best approach. To maximize the number of users who will give you the access your app needs, you should make a strong case for why it’s worth it for them to opt in. To do so, try to prime users before asking for permission. In user experience, priming is the act of preparing a user for action. Taking the time to explain what action you want a user to take and what they’ll get out of it, will put their mind at ease and guide them in the right direction without forcing their hand. This technique is especially useful when asking for permission to access device features on mobile. According to a recent survey, 82% of users said that clarity behind an app’s personal information requests (ie. device permissions) was important to them. Unfortunately, most mobile apps don’t follow this advice, even ones built by tech-savvy companies. For example, Google’s email app, Inbox, does a poor job of priming users when asking for permission to send push notifications. When signing in, Inbox simply tells users it wants to send push notifications without explaining why. From the users perspective, a pop up like this gives no information on what type of push notifications the app will be sending, how often they will be sent, or why they will be valuable. 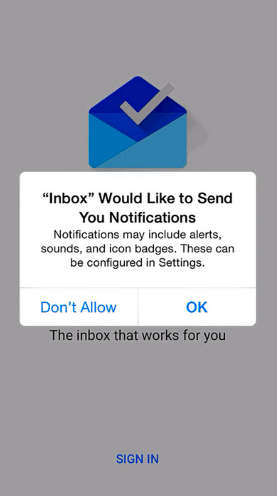 To maximize the number of users who opt-in to push notifications, Inbox could have leveraged priming by telling users that notifications would make sure they never miss important work emails, before asking for permission. On the bright side, there are a growing number of apps out there that are doing it right. 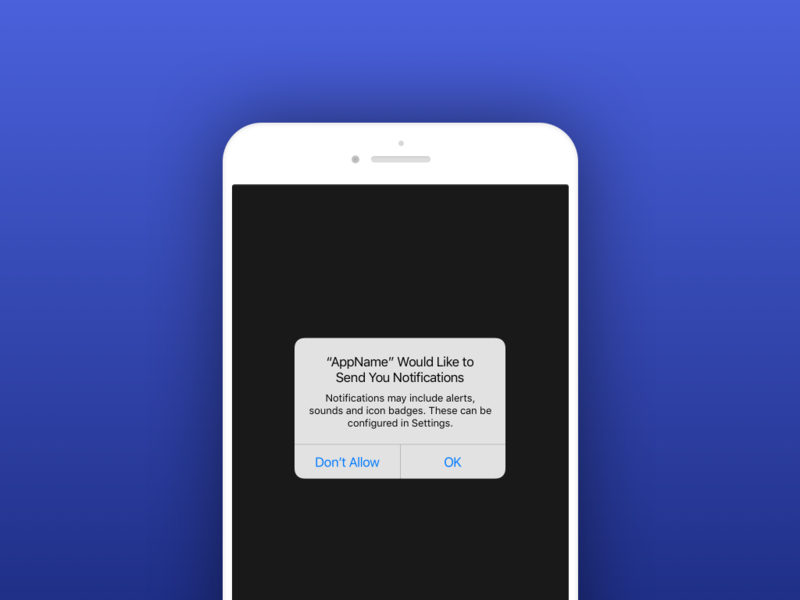 For example, Hopper, the app for predicting flight and hotel prices, primes users during onboarding by displaying a custom page explaining what the app will use push notifications for, before asking for permission. 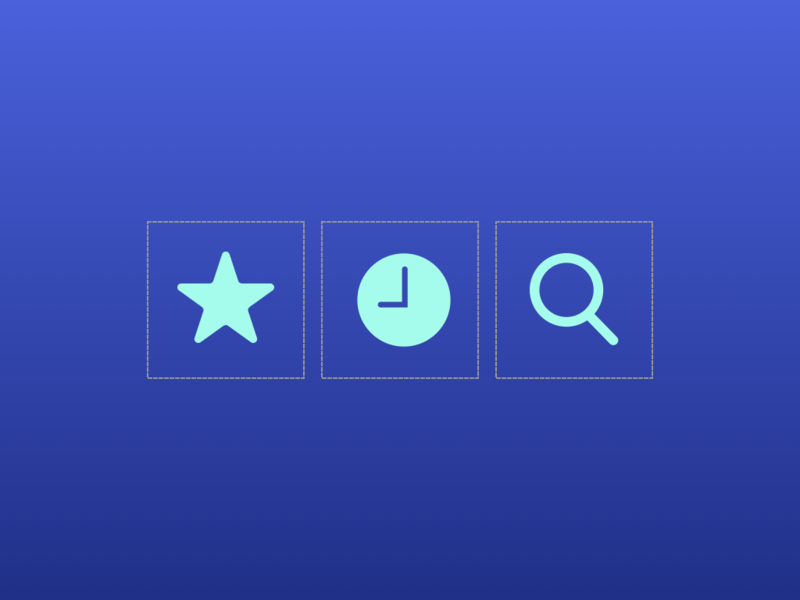 In this case, allowing the app to send real time updates on low prices before they increase. 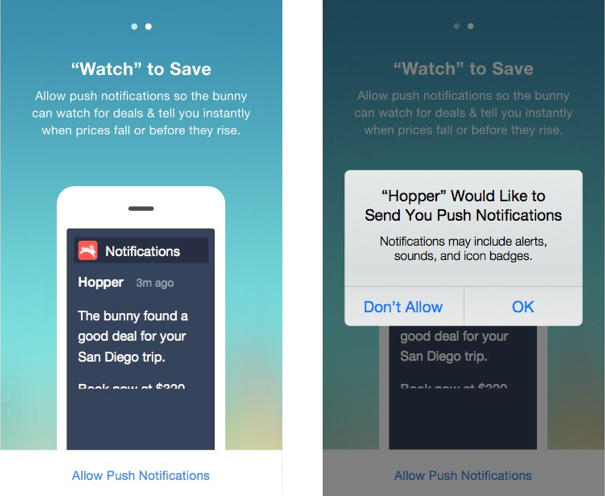 Only after explaining this and having users click an “Allow Push Notifications” button, does Hopper ask users to grant permission to send notifications. 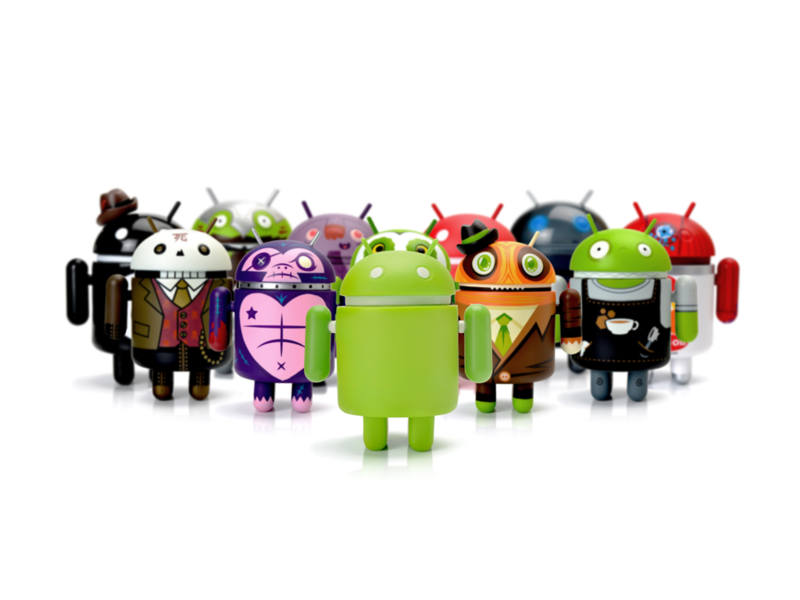 iOS and Android devices have given users the power, allowing them to grant or deny your app access to device features such as as tracking user location, sending push notifications, or accessing contact information. Because of this, the burden is on you to convince them it’s worth giving your app the permission it needs. Priming users before asking for permission is a great way to maximize the number of users who grant access to their device, ultimately increasing the number of users who become successful and stick around for the long haul.